Needless to say, children with Conduct Disorder (CD) are frequently removed from class, suspended and/or expelled. They are often involved in physical altercations and may bring weapons to school. 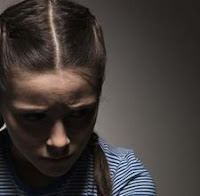 Children with CD have difficulty with interpersonal relationships and may be abusive to boyfriends/girlfriends. Because they are defiant, children with CD are often absent from school and have difficulty completing assignments. 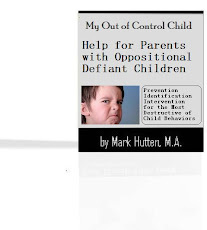 Children with CD like to engage in power struggles. They often react badly to direct demands or statements such as: “You need to...” or “You must...” They may consistently challenge class rules, refuse to do assignments, and argue or fight with the other kids. This behavior can cause significant impairment in both social and academic functioning. They also work best in environments with high staff-child ratios, one-on-one situations, or self-contained programs, when there is plenty of structure and clearly defined guidelines. Their frequent absences and refusal to do assignments often lead to academic failure. 1. Avoid escalating prompts such as shouting, touching, nagging, or cornering the youngster. 2. Avoid giving ultimatums - use options instead. 3. CD children often work best in small group or one-on-one settings. They need a great deal of structure and clear expectations if they are to be successful. Therefore, it may be helpful to get permission to speak with any mental health practitioners who are involved with the youngster. These professionals can help you gain a better understanding of the disorder, and work with you to develop effective interventions for the youngster in you classroom. In turn, you provide to the mental health professional beneficial insight into how the youngster acts in and academic setting, which can help the professional treat the youngster in a more holistic manner. 4. Consider the use of technology. Children with CD tend to work well on computers with active programs. 5. Develop a plan, ahead of time as to what will be done if the youngster becomes angry or violent. Make sure the parent, staff and the youngster are informed about who will be contacted and the order of the steps which will be taken to ensure the safety of the youngster and others. 6. Do not carry a "grudge' against the CD youngster – and be willing to start over with them. CD children have true mental health issues and are often as overwhelmed and puzzled by their behaviors as those around them. 7. Do not touch children with CD’ especially when they are angry. They may take it as a personal threat. 8. Embarrassment is a concern for all teens, but is multiplied in teens with CD. Modifications and adaptations should been accomplished with subtle non-intrusive methods to allow the youngster to maintain a sense of dignity and responsibility. Blatant, harsh criticisms of these kids will perpetuate their fears of failure and feed into their cycles of anger and rage. 9. Establish clear classroom rules. Be clear about what is non-negotiable. 11. If the youngster is old enough to work, consider a work-experience program. CD children often do well in school-to-work programs because they find earning money an incentive. 12. Keep calm and logical during confrontations, especially if the youngster's behavior escalates. These children like power struggles and arguments. 13. Maintain respect as well as emotional detachment. 14. Make sure curriculum is at an appropriate level. When work is too hard, CD children become frustrated. When it is too easy, they become bored. 15. Remember that praise is important, but it needs to be sincere. 16. Maximize the performance of low-performing children through the use of individualized instruction, the breaking down of academic tasks, debriefing, coaching, and providing positive incentives. 17. Select materials that are relevant to the CD kid’s life. Although his skills may be at a lower level, he usually does not respond well to material he perceives as beneath him (age-wise). Look for "high-interest, low-ability" materials. 18. Structure activities so the youngster with CD is not always left out or the last one picked. 19. Children with CD often do well in programs that allow them to work outside of the school setting. Try to monitor your impressions, keep them as neutral as possible, communicate a positive regard for the children, and give them the benefit of the doubt whenever possible. 20. Systematically teach social skills including anger-management, conflict-resolution strategies, and how to be assertive in an appropriate manner.